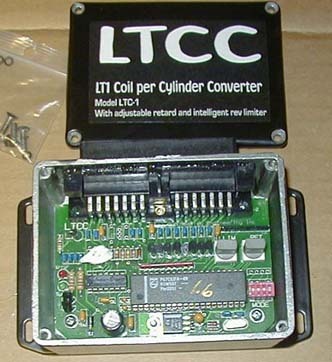 The LTCC is short for LT1 Coil Conversion. It allows you to convert the LT1 single coil with a cap and rotor (part of the OPTISPARK) to an 8 coil DIS. The optical portion of the optispark remains intact for generation of the high and low resolution signals. 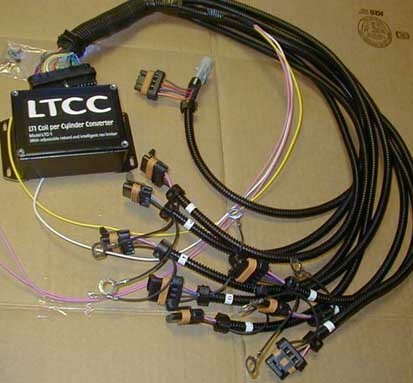 The LTCC then reads those signals and uses them to fire the appropriate coil. 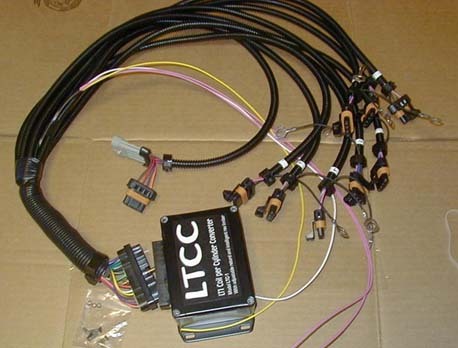 The coils used are the LS1 coils/and brackets.